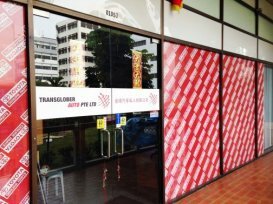 Transglober Auto Pte Ltd was established in the year 2000. The owner, Mr Louis Ong has more than 30 years of experience in marketing Toyota Spare Parts. The company specialise in importing & exporting of genuine Toyota, Mitsubishi, Lexus, Nissan and Honda Spare Parts & Accessories. They also carry OEM parts as well as Aisin & Koyo products.